When a pet parent’s dog need medical attention, they take them to their local vet for treatment. Many pet parents don’t think about the expense of medical procedures until they are told the price for treatments. Keeping Fido or fluffy healthy means being proactive. One proactive step is to look online to pet insurers like https://www.petsbest.com/dog-insurance to find the best coverage. Health insurance coverage can often help lower the cost of treating some common dog illnesses. For example, ringworm one common illness for dogs. Ringworm isn’t an actual worm at all. Instead, it is a fungus that infects a dog’s skin, nails and hair. It is a highly contagious disease that can lead to hair loss for the dog. It can spread to humans and other pet children too. Many pets parents may not know this, but dogs can develop cancer. If a dog develops cancer, they will need to seek treatment from a veterinary oncologist. This may result in a lot of medical bills. Heartworm is another common illness in dogs. Heartworms are parasitic worms that live in the pulmonary arteries and heart of dogs. The worms travel via the bloodstream and harms the dog’s vital organs. Several heartworms can live in a dog for about seven years. Kennel cough is a term that describes complex number of bacterial and viral respiratory infections. The respiratory infections cause a dog’s windpipe and voice box to become inflamed. It’s similar to having a pet parent having a chest cold. Kennel cough is another common illness in pets. When choosing pet insurance to protect against or treat common types of illnesses in dogs, it’s important to choose a variety of things. Pet health insurance is just like insurance for humans. It has premiums, deductibles, co-pays and waiting periods. It may also exclude any health coverage for a dog’s pre-existing health conditions. For example, a deductible is the amount of money paid before a pet insurer kicks in money for the vet bills. There are two types of deductibles: annual and per incident. An annual deductible is the money amount paid by a pet parent each year of the policy. A per incident deductible is the money amount paid for each new injury or illness a dog sustains. Some pet policies only cover accidents. This means if a dog is hit by a vehicle or sustains a fall, the coverage will pay the bill. However, if the pet parent takes their dog for a routine vet visit or to treat a common illness, the bills won’t be covered. 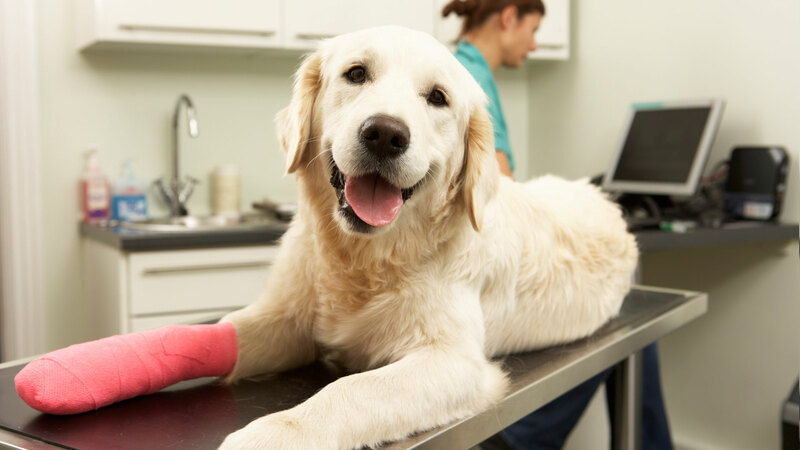 Many pet insurance companies do offer comprehensive coverage. This covers accidents, preventative care and wellness visits. This means a pet parent can take their dog to the vet for a variety of medical reasons and have the insurance pay for it. This includes coverage for prescriptions, vaccines and diets.